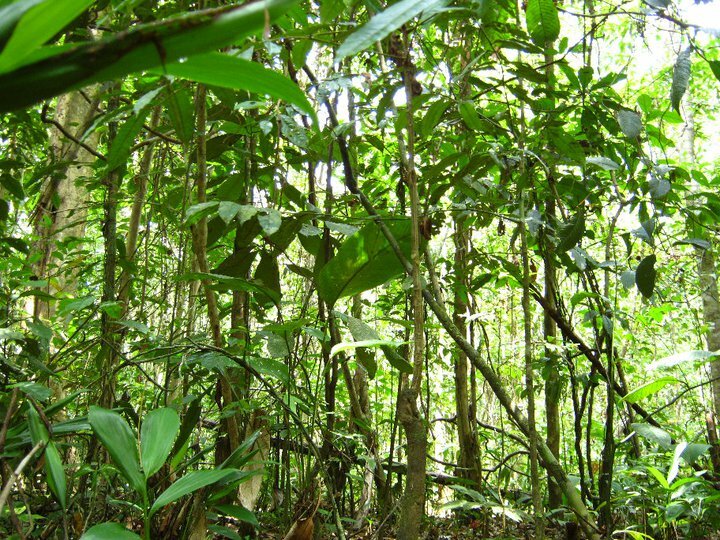 Tropical rainforest is more of a library than a zoo. Don’t come expecting to peruse a lineup of cool animals on display. You’ve got to be patient, meticulous, and look carefully. Do a little research before you go hunting. And above all, be quiet. The only person I know who spent a week in the jungle and didn’t see any monkeys only had one volume and no mute button. Acting like that in a library will invoke the wrath of the librarians and acting like that here will result in an unused camera. And don’t count on getting to see the jaguars or macaws they put on the brochures. Those pictures are once-in-a-lifetime shots, taken by people who live here fulltime. Be satisfied with a brief flash of tapir, or a colorful frog, or macaw calls from the canopy. But who knows? 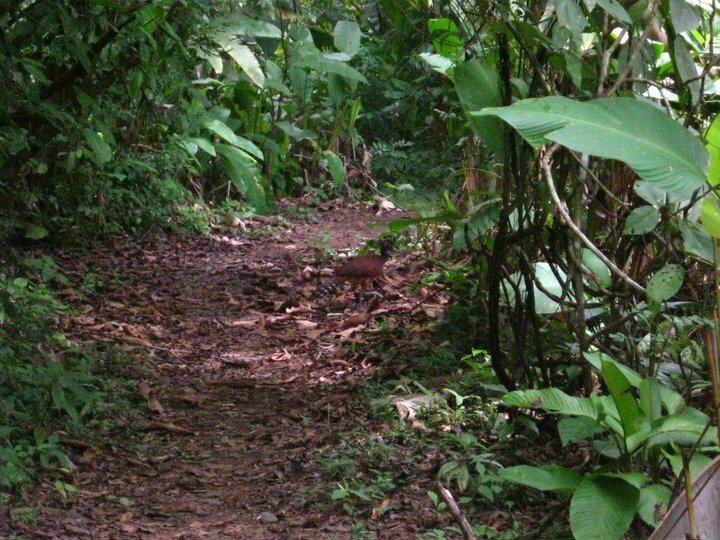 People do get lucky here and see a jaguar in broad daylight, or a pair of tapirs on a trail, or a boa eating a coati in plain sight. Best way to optimize your chances? Go early. Late morning to midafternoon is usually the worst time to find the most charismatic of megafauna; the popular stuff. Walk the distant, less-used trails. Less human foot traffic means more likely animal use. Don’t try too hard to cover lots of ground. Remember that any spot has a chance of yielding something. It’s more important to move slowly and quietly. Walk carefully—look where you put your feet but make sure to glance around to watch for movement or spider webs. Check in holes and between buttress roots. Stop occasionally and scan the area. Use your ears and nose. Look for signs: scratches, feces, trails. At night move even slower, and shine light around to catch eyeshine. Listen to animal calls. Monkeys screaming or frogs suddenly going silent could mean a predator is nearby. Paw prints filling with water? Something made them recently. Scent mark still wet? It’s fresh. Something’s close by. Animals, especially mammals, may not always be skittish, but wary. Things may be watching you just out of sight, bunkered down or hiding in trees. They’re patient, and you should be too. Remember: in the jungle, you will eventually see monkeys. Just stop talking once in a while.